Pinter and his group conduct research and public outreach in natural hazards planning and mitigation. This work includes quantitative modeling and risk assessment as well as development of mitigation strategies for reducing damages in future floods and other disasters. Drought's twin is flooding, and Prof. Pinter supports UC Water's management El Nino floods from a technical planning, mitigation and adaptation approach. His fresh perspective on California also provides insights. 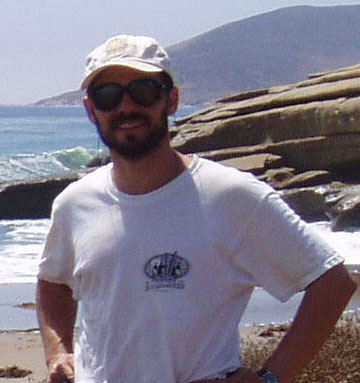 Nicholas Pinter is Shlemon Chair in Applied Geology at University of California Davis, in the Dept. of Earth and Planetary Sciences and Center for Watershed Sciences. Prof. Pinter studies earth-surface processes and hydrology applied to a range of problems. The main thrust of this research is on river dynamics, flooding, floodplain management, and mitigation of flood risk and other natural hazards. Pinter has worked primarily on large alluvial rivers and their floodplains, including the Mississippi, Missouri, Rhine, Danube, and others. Work has been funded by the National Science Foundation, FEMA, MacArthur Foundation, von Humboldt Foundation, and the European Commission. Pinter is also the Director of SIU’s NSF-funded IGERT (Integrative Graduate Education Research and Training) PhD program in Watershed Science and Policy.